This beautiful bracelet will add a pop of color and texture to any outfit. Handmade of lightweight, durable tagua nuts by local artisans in Ecuador. 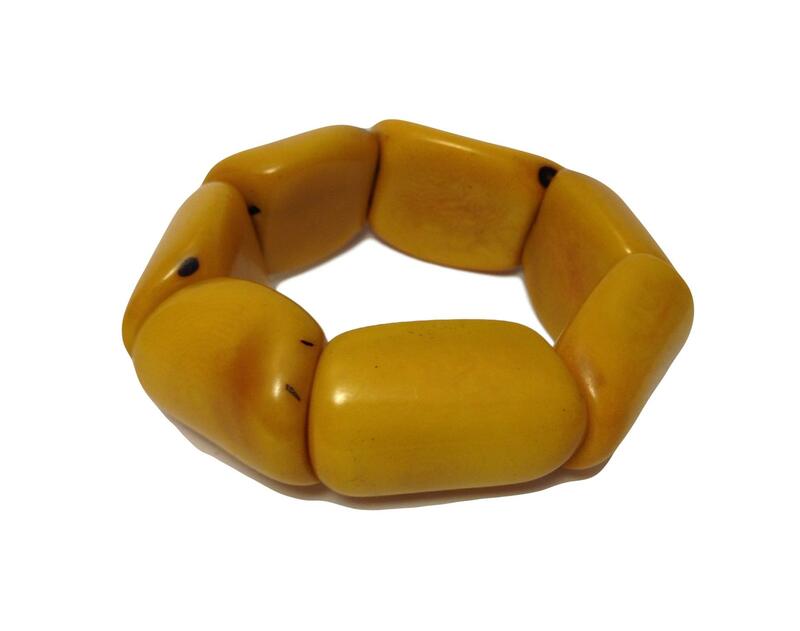 Tagua is a Palm tree which grows in the hills of the western Andes Mountains of Ecuador. From this palm, several clusters of nuts are produced annually. When the ripe clusters fall to the ground, the seeds are collected and allowed to dry. After they become hard, they are ready to be cut into different shapes and colored with vegetable dye. The Tagua nut is also known as "vegetable ivory" because it is a great sustainable, cruelty-free alternative to elephant ivory. Slight variations in color/pattern are normal.